Dr. Perrigo is a graduate of Auburn University from the class of 1994. He got his Bachelor’s Degree in Mechanical Engineering, and in 1998 he registered for the University of Alabama’s School of Dentistry. He graduated in 2002, earning the Dean’s Scholarship and the title of Doctor of Dental Medicine. Dr. Perrigo, our dentist in Hoover, AL, is continuously learning new and improved dental techniques and spends numerous hours every year educating himself on restorative, implant, and cosmetic dentistry. He recently was part of the hands-on training course, Live Implant Training, led by the Medical College of Georgia in Puerto Vallarta, Mexico. In this course, he placed implants on live patients while being supervised by experienced dental surgeons. This is quite special, because most trainings of this type are done with artificial jawbones. Dr. Perrigo also got a grant to study at the National Institute of Dental and Craniofacial Research, where he graduated in the top 12 of his class. Perrigo Dental Care, led by Dr. Perrigo, is proud to hold high standards of ethical treatment for all patients. Dr. Perrigo is also proud to help others by improving their oral health and is eager to answer the patients’ questions thoroughly. Dr. Perrigo has been married for 17 years and enjoys spending time with his wife and three children. His hobbies are working in the yard, golfing, snow skiing, and coaching sports. After over 20 years of faithful service to his country, Dr. Lafont retired from the US Air Force in 2016, as a Lt. Colonel. Dr. Lafont’s military history began in 1989 as an Airman Basic in the Louisiana Air National, while attending college part-time. A few years later, in order to better support his wife during her education, he began serving as an Active Guard Reservist, in the role of security policeman. In 1996, Dr. Lafont resigned from his active duty position in order to attend the University of New Orleans as a full-time student. In 1998, he received his Bachelor’s Degree in Biological Sciences and was accepted to the Louisiana State University School of Dentistry. While in dental school, Dr. Lafont received a two-year scholarship from the military and was commissioned as an officer. He graduated in 2002 with a D.D.S degree, as a Doctor of Dental Surgery. 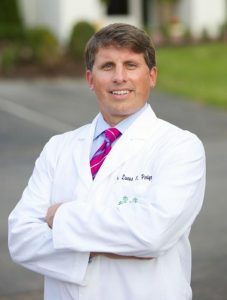 Throughout his dental career, Dr. Lafont has pursued opportunities to learn new and advanced dental techniques and continues to spend numerous hours every year educating himself on implant dentistry, periodontal treatment and surgery, treatment of TMJ dysfunction, and cosmetic dentistry. In 2003, Dr. Lafont, our dentist in Hoover, AL, received an Advanced Education in General Dentistry certificate. Later, in 2011, Dr. Lafont was hand-picked to be the first dentist to attend a new USAF Advanced Clinical Program in Implant Dentistry. Over the course of the one-year program, he planned, placed and restored implants on over 200 patients under the supervision of experienced periodontal surgeons, Oral Surgeons, and prosthodontic specialists. In addition, Dr. Lafont has completed hands-on training at the USAF Periodontal Post-graduate course and the Osteogenics Global Grafting Symposium (Advance Hard and Soft Tissue Regenerative Techniques). In 2012, Dr. Lafont was assigned to his last command, to act as the dental implant specialist for the Luke Air Force Base Dental Clinic. During his time at Luke AFB, Dr. Lafont spearheaded the research and use of the biological material PRF (Platelet Rich Fibrin). PRF has healing factors, isolated from a patient’s blood, which when placed in surgical sites, greatly diminishes postoperative pain, swelling, and dry sockets. Like Dr. Perrigo, Dr. Lafont holds to high standards of ethical treatment for all patients. Dr. Lafont is proud to help others by relieving pain, eradicating dental disease, increasing proper function, and improving cosmetic appearance. He is eager to answer questions thoroughly and enjoys educating patients about dentistry and their oral health. 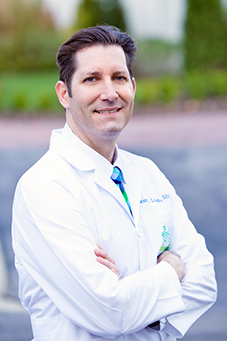 Dr. Lafont has been married for 22 years and enjoys spending time with his wife and two children. His hobbies are fishing, playing games with the family, cheering for the ever-frustrating New Orleans Saints, watching superhero movies with the kids, and being an active member in his church.